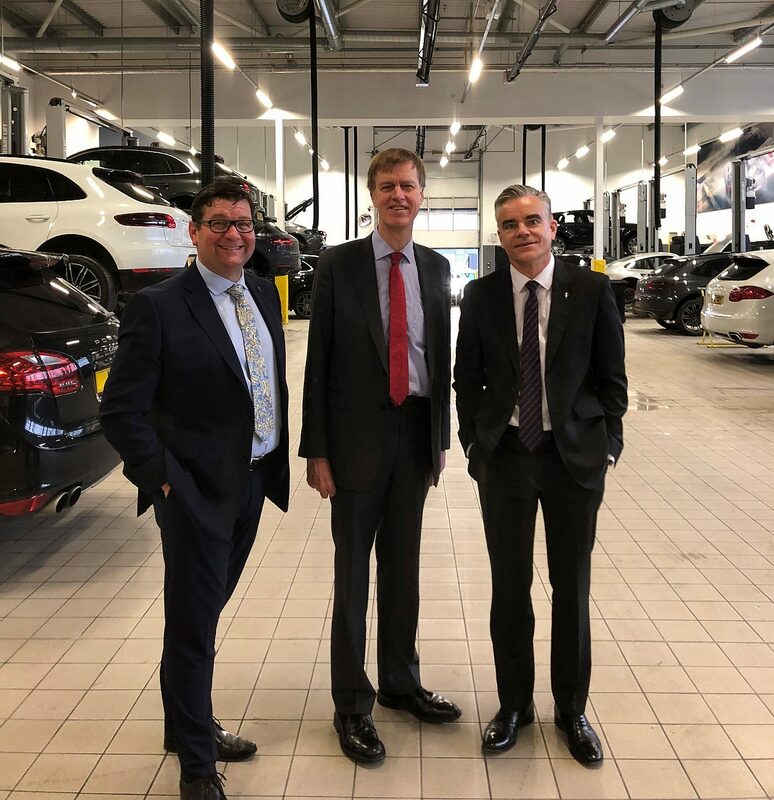 Today, Friday 1 February, Stephen Timms MP visited NFDA member Jardine Porsche in East Ham as part of the NFDA Parliamentary Engagement Programme that aims at raising awareness of the retail side of the automotive industry. Over the past two years, the programme saw a number of MPs visit the dealership in their constituency and discuss the key issues affecting the industry. Today, the MP was welcomed by Jardine Motors CEO Neil Williamson and Head of Business Ivan Howell who used the visit as an opportunity to outline the general workings of their business and the investment levels put into Jardine’s sites. New and used car sales, as well as the electric future of the motor industry, were also discussed. The MP was given a tour of the dealership where he met vehicle maintenance staff and, in particular, two apprentices. Finally, Brexit. Neil Williamson explained that the industry is flexible but businesses need certainty. The NFDA Parliamentary Engagement Programme will continue throughout the year: if you would like to host your local MP at your dealership, please contact louise.woods@rmif.co.uk.